EVOQ Architecture has announced it is welcoming members of the late Dan Hanganu’s architectural team into its newly expanded office. Initiated on an informal basis during the course of the last year, this new collaboration took on a more definitive turn following Hanganu’s sudden passing in October of 2017. Architects Gilles Prud’homme and Nathan Godlovitch will head the team structure. “After working in close collaboration with Dan Hanganu for over 30 years, Nathan and I believe that joining with EVOQ Architecture will ensure the continuity of our practice,” says Prud’homme who was responsible for the Bibliothèque Marc-Favreau in Montréal. In joining forces with EVOQ, Dan Hanganu’s collaborators hope to keep alive the memory of a unique practice and to pursue their work in an environment conducive to creative thinking and freedom. The merging of both teams reflects EVOQ’s growing interest in architectural research. 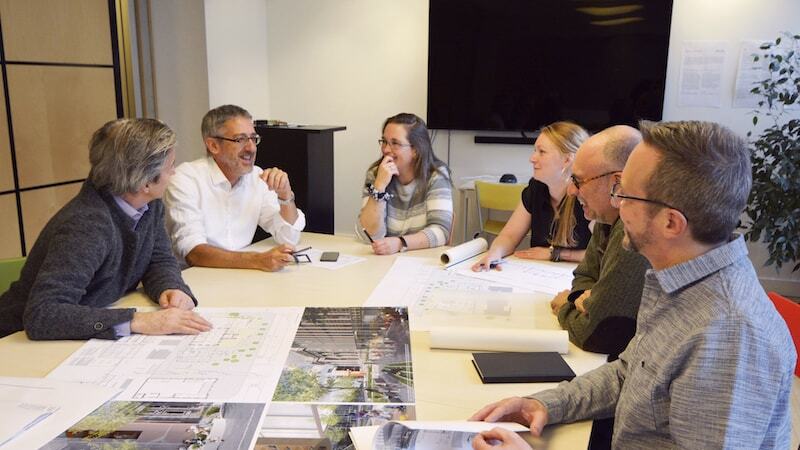 The joint team recently won the competition for the extension of the Bibliothèque Maisonneuve, a heritage building in Hochelaga-Maisonneuve, Montréal. The successful entry illustrates the strongly symbiotic working relationship between EVOQ and the team led by Prud’homme and Godlovitch. Over the last three decades, EVOQ Architecture has distinguished itself in Québec, Ontario and Inuit Nunangat (the four Inuit regions: Nunatsiavut, Nunavik, the territory of Nunavut and the Inuvialuit region of the Northwest Territories). Headed by Alain Fournier, Julia Gersovitz, Rosanne Moss and Georges Drolet, the 100-person office is particularly well known for its expertise in the preservation and revitalization of historic structures and sites, as well as for its work within Inuit and First Nations communities.